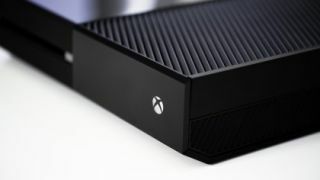 A new Xbox One update is on the way for users in the Alpha Ring of the Xbox Insider Program and though it isn’t bringing any particularly big changes, some of the release notes suggest there are exciting plans in motion for the console’s sound with full Dolby Atmos support. At the moment, the Xbox One does support Dolby Atmos sound for Xbox Insiders but only through its Blu-ray player. The latest release notes state that in the new update the audio output page will be under construction and some of the new settings aren’t yet functional or ready for testing. Among these not-yet-functional settings is the “New support [...] planned for Dolby Atmos for home theater, Dolby Atmos for headphones, and more in upcoming builds.” Microsoft says an announcement will be made when the new features are ready to try, but until that time enabling them will have no effect. Microsoft has previously said that we can expect full Dolby Atmos support on Xbox One and Windows 10 gaming in 2017, so it looks like good progress is being made. At the moment, there’s no indication of when the Dolby Atmos support will be ready but we’ll update when Microsoft makes its announcement. According to Spencer Hooks, Director of Gaming at Dolby Sound, Dolby Atmos support in games would offer particular advantages to players who enjoy shooting titles as you’ll be able to hear the sounds of your allies and enemies in three dimensional space, making it easier to track them. This will make Xbox One the first games console to fully support Dolby Atmos sound in both movies and games, and Microsoft say that it will make gaming a much more immersive experience.